Q: Is there a message you hope readers walk away with after finishing Catch a Falling Star? Everyone experiences life not going according to their plans — the outcomes range from humorous to tragic. 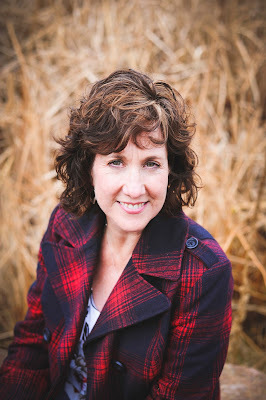 What I’ve learned — what I hope readers discover as they turn the pages of Catch a Falling Star — is God is in the plans, the dreams that come true, and he’s also in the plans that elude us. Q: Kendall finds herself on her 36th birthday without the husband and family she longs for. Do think society sometimes adds undue pressure on our expectations and/or interferes with our faith in God’s timing? I certainly believe the church community can add unrealistic pressure on us when life doesn’t go according to plan — or some prescribed, “right” way to walk out the Christian life. Several years ago I read an article by a respected Christian leader who chastised Christian women for waiting so long to get married, reminding them they shouldn’t delay starting a family so they could have a career. He was assuming these women were turning down marriage proposals right and left. There are lots of reasons women are getting married later, and sometimes it’s because Mr. Right doesn’t show up when you’re 21 or 31. And then the question — the challenge for the church community — is: Where do older singles, both men and women, fit in the church? Q: What was the inspiration behind making your lead characters a little older than most couples in love stories? 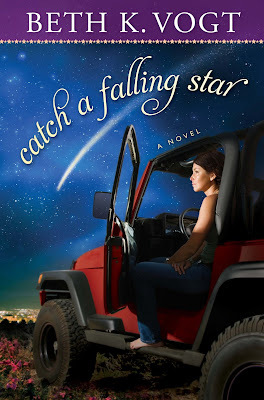 My stories are often sparked by some real-life circumstance, and this was the case for Catch a Falling Star. I had an eye-opening conversation with a friend who was in her mid-40s. She has a successful career, lots of friends, a very satisfying life in so many ways — and yet some of her dreams haven’t come true, including in the area of marriage and children. And she’s not the only person I know experiencing this. I wanted to examine this issue within the context of a contemporary romance novel because it’s relevant — and because I believe romance doesn’t just happen in your 20s. 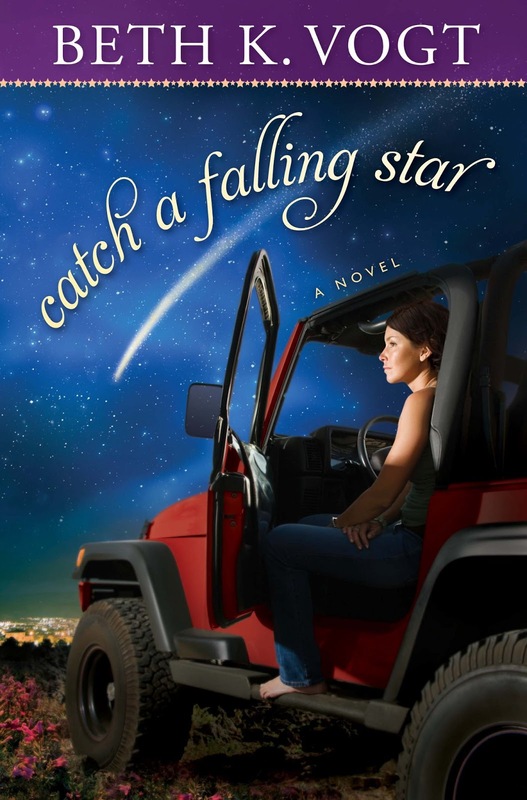 Q: Catch a Falling Star looks at more relationships than simply the traditional love story. How do the experiences of singleness, adoption and the loss of parents connect the characters together? All of these relationships fall under the umbrella of “life not going according to plan.” Relationships rarely do; they require hard work. Commitment. Trust. Prayer. Patience. Sacrifice. This is why I say there is more to happily ever after than the fairy tales tell us. Q: Your male lead is in the Air Force, much like your own husband was in the Air Force. Are there other parts of your life written into the story? Griffin Walker, the male lead, is an Air Force A-10 pilot who graduated from the U.S. Air Force Academy. My husband graduated from the Academy with an astronautical engineering degree (Yes, I’m married to a rocket scientist!) and then went to medical school. I did inflict a particular medical condition on Griffin I’ve had to deal with. Poor guy. Kendall Haynes, the female lead, is a family physician in solo practice in Colorado Springs, just like my husband. The theme of adoption was developed because I’ve watched a close friend embrace the ministry of adoption in her life, and I do believe adoption is a God-given ministry. Q: One of your themes in Catch a Falling Star looks at how people respond differently to disappointment and unexpected circumstances. Which character do you most identify with in these situations and why? There’s a bit of me in Kendall. I can say things straight-up, but behind that character quality can be a heart that is unsure of my own worth. It’s something I wrestled with for many years . . . I hit my knees over and over again in prayer about who I am in God’s eyes. One of my favorite Scriptures that talks about how much God values us is “Behold I have inscribed you on the palms of My hands . . .” (Psalm 49:16a NASB). Q: Have you ever had to give up on a dream yourself? Yes. Everything from letting go of a nonfiction book idea I believed so strongly in because it helps strengthen mother-son relationships to having to realize I couldn’t resolve a long-standing relationship conflict, at least for now. I choose to trust that God is in both of these situations, that he is still working even when I can’t see it. Q: How has God surprised you in your life with plans of His own? I believe God’s best is often behind the door marked “Never.” My original life plans included never marrying anyone in the military and never marrying a doctor. Um . . . I married an Air Force physician. At one time I said I didn’t want to have children; we have four children, including our “caboose kiddo,” who was born 12-and-a-half years after our third (and supposedly last) child. And I also said I was never going to write fiction — but God turned a season of burnout into a bend in the road. I’m getting ready to turn in my third contemporary romance novel. Q: How was writing your second novel different than the first? Are there any lessons you learned the first time around? In some ways writing Catch a Falling Star was easier because I had learned the fundamentals of writing a novel. But in other ways it was more difficult because my mentor, author Rachel Hauck, challenged me on a daily basis to up my game, to push past my writing abilities. I also learned how important it is to lean into God as I walk the writing road so I can keep the right perspective on both the praise and the negative feedback. One of the things I do now is listen to the song “Lead Me to the Cross” by Hillsong each morning before I begin writing.